The terminal block expansion board for the Feather Board range allows you to connect to any of the external Feather pins and can be used for both temporary or permanent installations. 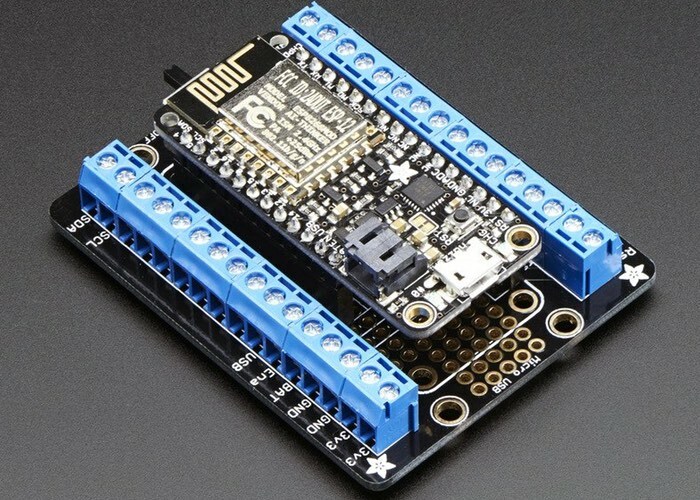 Adafruit has also provided a few extra terminal block pins for ground and 3.3V connections which are welcome and also very useful. There’s a spot for soldering in a slide switch. This connects the EN pin to ground when in the ‘off’ position, cutting off the 3.3V regulator. Note that the FONA Feather uses both VBat and 3.3V as power supplies so you wont be able to fully turn off the FONA Feather with this switch. 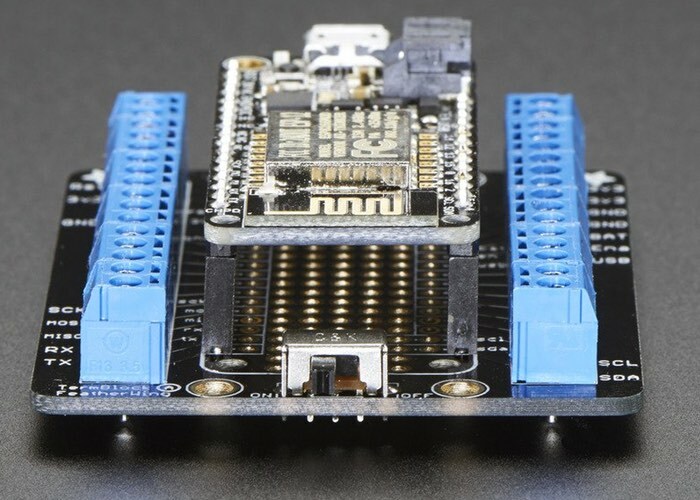 For more information on the new Terminal Block Breakout FeatherWing Kit jump over to the Adafruit website for details via the link below and the ability to purchase for $14.95.